I wanted to check out a resort on Rope Walk Caye. We’d been talking about it on the way over. A very rich Canadian. Over 100 rooms. A deep water canal. Tall tales (or so I thought) of thousands of feet of greenhouse space – flowers and fruit trees. And rooms fully decorated once and then later changed. A spot that isn’t even open for business. I was not picturing it here…we hadn’t seen a soul. 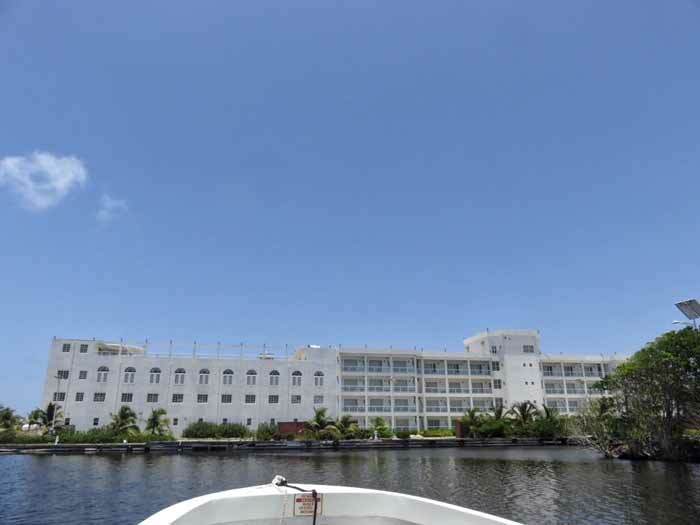 One of the largest hotels in Belize? 30 miles from the nearest gas station, power line or fresh water source? I used my meager Google skills to find out more. It’s called Belize Dive Haven by Sir Hakimi. Built by a self-made Iranian-Canadian optics mogul. Watch this video – it gets to Belize at about minute 6.